They say time flies when you’re having fun and that couldn’t be more true when it comes to the warm summer months; it seems Autumn always shows up sooner than invited! When the temperatures and the leaves start to fall, that doesn’t mean you have to wave the white flag and surrender your outdoor enjoyment. With proper planning of your outdoor living spaces, you can extend your outdoor entertainment further into the season than anticipated. One of the most important elements to contribute to your cool-weather congregation would be a nice, inviting fire. One of the main hurdles facing homeowners is budget. 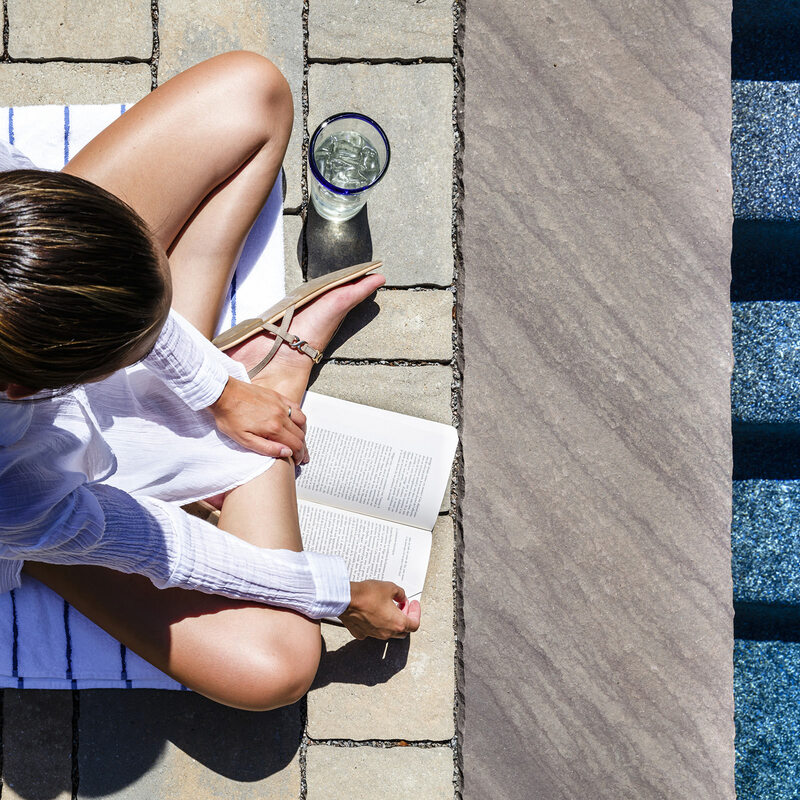 Often, a dream outdoor feature doesn’t correlate into dollar signs right away, and the homeowner is blown away when they find out that the backyard they have always dreamed of comes with a real price tag. However, when it comes to fire features, there are options. 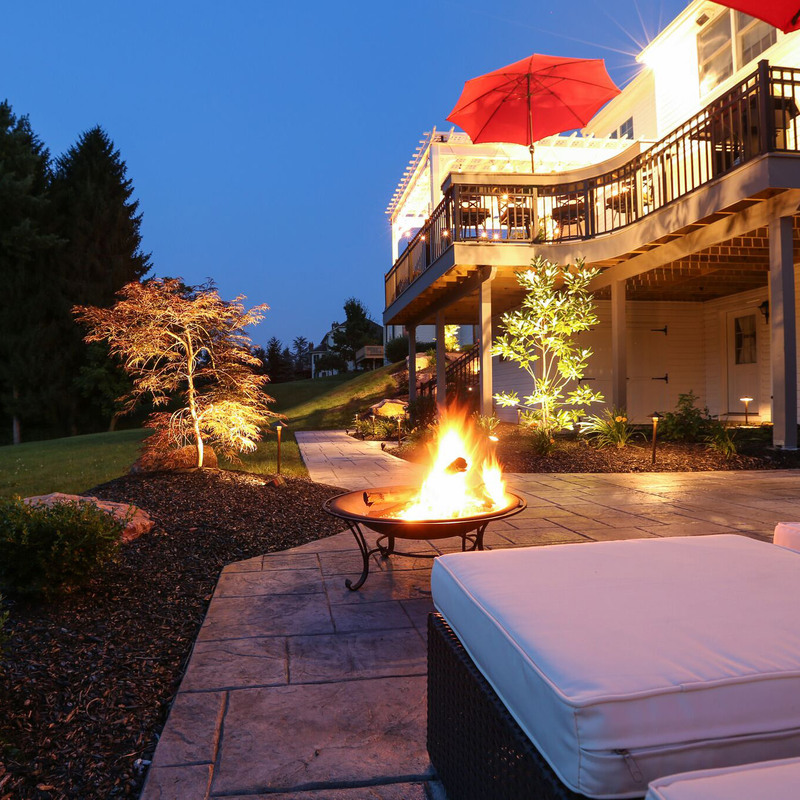 Both fire pits and fireplaces can accommodate different budget levels, depending on size, materials and fuel sources. Any fire feature is better than no fire feature at all, so consider the scale to be good – better – best, with portable units being good, modular units to be better and full-on masonry features to be best. It is important to be honest with your designer when it comes to budget. You shouldn’t ever feel that you need to over-extend yourself or else your feet will end up being held to the fire! Another decision that needs to be made is the type of fuel source that is best for your family and your property. Some homeowners opt for wood-burning features because it is authentic; the smell of the firewood and the crackling of the logs just can’t be beat. However, planning and energy are always required to gather the wood, start the fire and to keep it fed throughout your soiree. On the other hand, if you don’t want the hassle of wood, a natural gas or propane-fueled fire feature offers flames at the flip of a switch or the touch of a hand-held device. Gas fire features do require direct underground piping for installation, but the outcome is quick, simple and clean on-demand heat at any time of day. The level of commitment will be one of the determining factors to which fuel source is right for you. A seasoned landscape designer will be able to provide their expertise, not only in design, but when it comes down to specific safety precautions and the assistance of outside licensed professionals. Insured and licensed technicians are the key to proper installation, as they always have their finger on the pulse of new rules and regulations for safety and compliance. For example, buried gas lines will require mechanical permits and inspections, masonry fireplaces will need proper ventilation and require plans drafted by a licensed engineer. Providing engineered plans to townships for permits is one way to expedite projects and to obtain the proper paperwork to start construction. Without the appropriate installation and authorization, you may end up with fines and issues down the line, which is one road you do not want to cross. Doing it right the first time will save you money, time and frustration. Codes dictated by the local municipality need to be followed to ensure proper planning and placement within your space and to guarantee safety, comfort and code compliance. Above all else, the local municipality dictates the rules when it comes to outdoor features. Fire features are classified as accessory structures, and can only be within so many feet of a structure, fuel source and the perimeter property lines, so it is within your best interest to consult with the professionals to be sure all distances and heights are within limits. So, whether your goal is to roast s’mores around the fire pit or to get cozy by the fireplace, outdoor fire features are a must to keep the winter blues at bay. These features add dimension and architectural interest to each backyard, as well as hours of entertainment for friends and family of all ages. 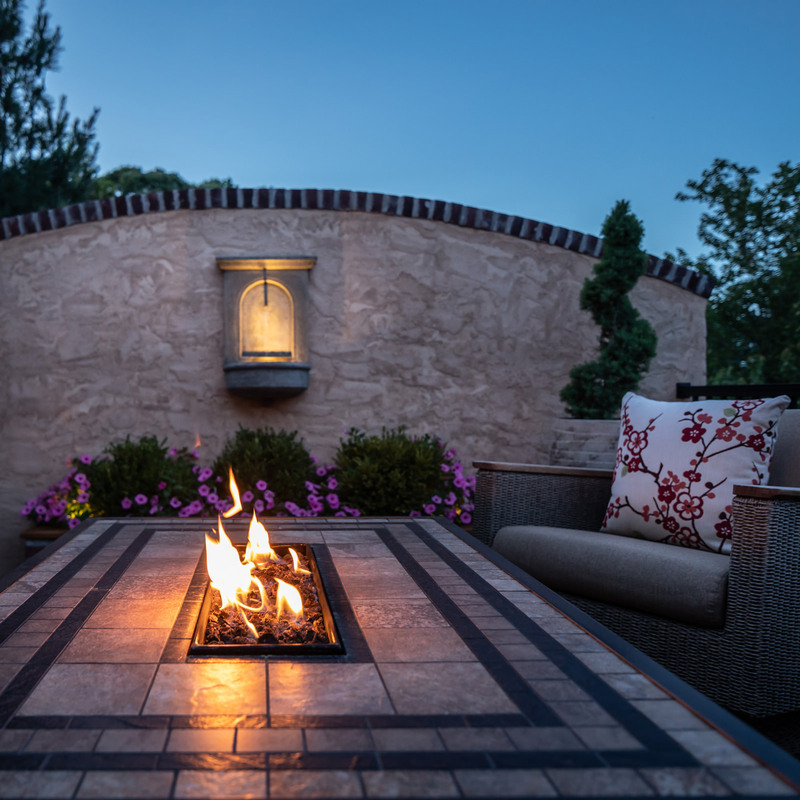 Through timeless design, proper planning and installation, you may rest easy knowing that your fire feature is not only beautiful but safe; ready to be enjoyed at any time of the year. 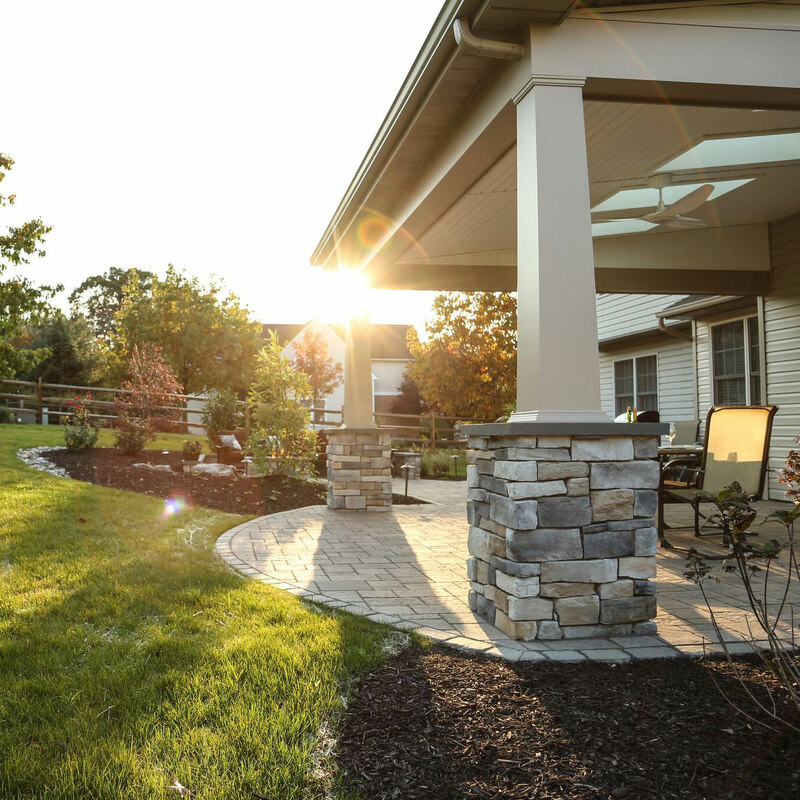 Reach out to MasterPLAN Landscape Design to help guide you through the journey of designing and constructing your dream backyard; we are ready to transform your dream outdoor living space into your reality! Stay up to date with what is happening with MasterPLAN Outdoor Living. With over 20 years of experience, MasterPLAN is able to create beautiful outdoor living spaces to complement all types of landscapes. It’s the details that make each MasterPLAN project feel like home. This outdoor living space in Fogelsville includes several zones for different activities, yet they all blend together in this beautiful master plan! Open-concept landscape design is perfect for young and active families! 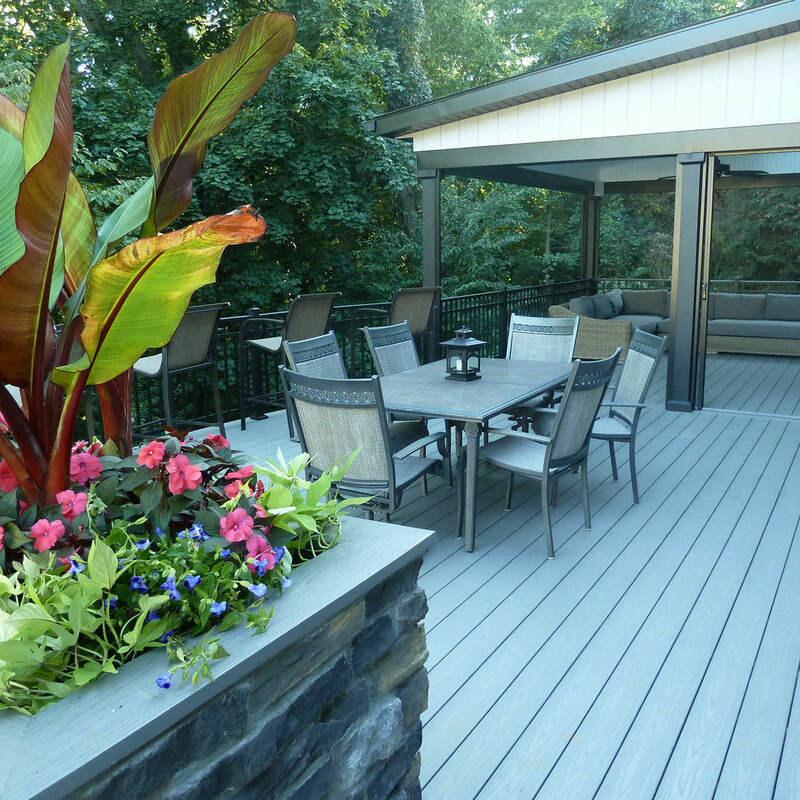 This Center Valley project combines all of nature’s finest elements into one beautiful landscape design. Wood, metal and stone are everlasting and influential to MasterPLAN’s timeless design aesthetic. Brick and stucco bring cohesion to this backyard tuscan-inspired feature wall, as these are the materials used in the front of the home! Outdoor dining never looked so good! Learn more about this MasterPLAN project that blends right into nature! This King of Prussia landscape design features a Phantom Screen system that protects from pesky bugs in the summer and can recess into the ceiling on demand!